Sithulim Kips and his wife Senjunma Kips, an elderly Naga Yimchunger couple stepped out of their hut to see excavators roaring into their village located under Lahorijan Reserve Forest along the Assam-Nagaland inter-State border in East Karbi Anglong on Monday. 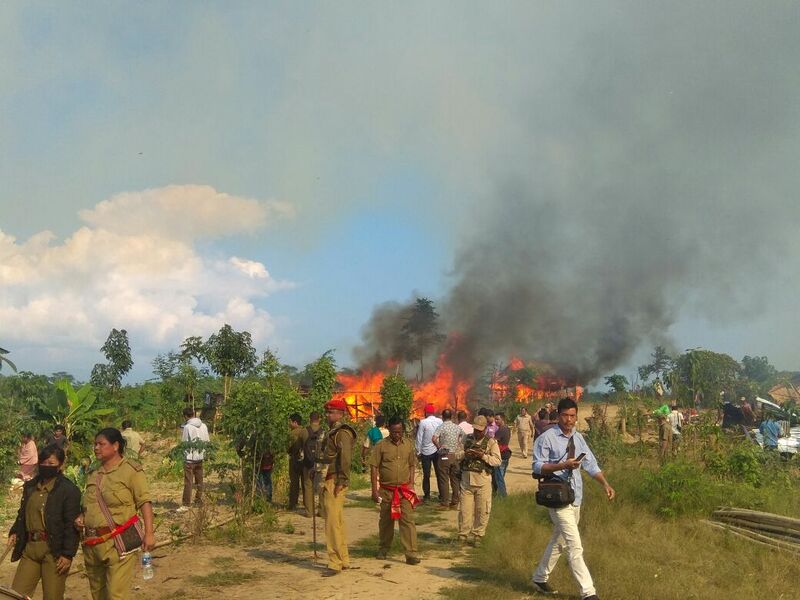 Minutes later, authorities bulldozed and torched their makeshift hut, besides destroying standing crops and livestock. “We have nowhere to go. The authorities are making us more dependent. We’ll have to rebuild our shack even if authorities bulldoze it again,” said a tearful Senjunma. Altogether 160 dwelling units, including concrete structures and makeshift huts, were demolished in the day-long drive, jointly carried out by over 1,500 police, forest and administration personnel who mobilized a couple of excavators for the purpose. It was estimated there were over 200 families illegally occupying the forest land. However, many had shifted to other places after they were informed about the eviction drive a couple of weeks ago. Forest department sources said that an area measuring 435.77 hectare along the Assam-Nagaland border falling within the proposed Lahorijan Reserve Forest have been encroached by squatters from within the district and neighbouring Nagaland. However, the initial momentum of the dismantling drive started to fizzle out as the eviction team moved into ‘Kramsa Model Village’. Despite an estimated illegal occupancy of 43 households in that village, the forest officials citing inexplicable reasons, brought an end to the eviction drive there by dismantling just a few makeshift huts. 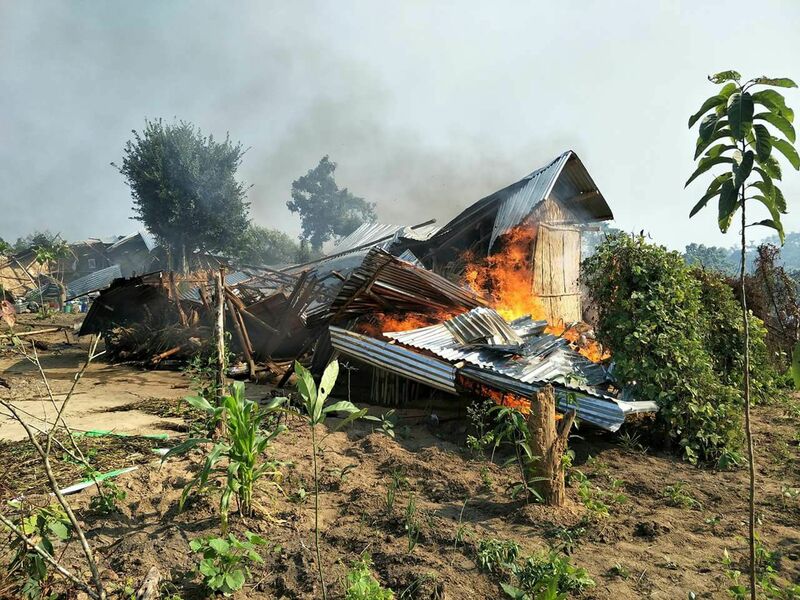 It is worth mentioning that many evicted squatters claim to have bought land from one Augustin Kramsa — a former leader of Karbi militant outfit UPDS. Kramsa in connivance with KAAC authorities had allegedly obtained a ‘periodic patta’ of 800 bigha stretch of forest land and set up a village titled ‘Kramsa Model Village’ by selling land to Naga occupants at Rs 50,000 per bigha. Many of the settlers have expressed reluctance to leave their land and property without proper rehabilitation.